(PRLEAP.COM) Over the last year, Advantage Communications Inc. has made a number of strategic hires, to augment their top tier talent with deep experience and innovative thinkers. [Charlottetown, PEI, Jan 2019] One of North America's leading contact centers has been strategically hiring top talent to build out a high-performance executive team. Now that the team is complete, Advantage Communications Inc (ACI) has hit the ground running landing major accounts both in the Caribbean, USA and Canada. With three new hires in executive roles and a further internal promotion, Advantage Communications is continuing to position itself as a thought leader in the customer service industry. That, combined with the use of next-generation AI and advanced contact center technology, means ACI is paving the way to implement more efficiencies and better productivity, challenging the traditional contact center industry. "Our new ACI Executive Team includes three key new hires, and one internal promotion, in the last year in HR, Technology, Client Services and Finance," said Gregory Hough, CEO of Advantage Communications. "As we position ACI to take on and challenge the traditional call center industry with new technology and new levels of service, we wanted to bring in executives who can lead the way with highly creative and innovative approaches to the customer experience." Tracey brings with her over a decade of experience as the VP of Finance for a leading IT services management company, along with other positions in the technology software industry, an investment corporation, and a computer system design company. Jean-Marc brings over 18 years of hands-on and senior management experience in Technology and the Contact Center industry. Responsible for Systems, Networks, Security, Compliance, Software Development and R&D, he started his career in the BPO field and has worked with many on-shore teams in North America and offshore teams in France, India, Mauritius, Mexico, Morocco, Philippines, Romania and Sri Lanka. With an extensive 22+ year career in Contact Centre and BPO services, and with a successful track record in building, stabilizing, and growing profitable operations, Andy is the perfect addition to the team to escalate the growth of Advantage Communications. Ryan has been an integral part of creating the dynamic company culture and inclusive values that sets Advantage Communications apart from other call centers. Ryan was recently promoted to Chief People Officer to continue building talent and making ACI a preferred employer in the sector. With these new additions to the Executive Team, bringing individual strategic insights and extensive industry experience, ACI is ready to challenge the call center industry head-on. 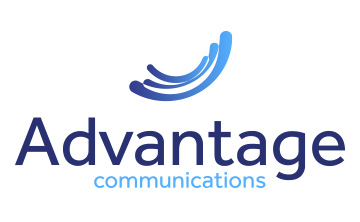 Advantage Communications is a challenger brand, pushing forward with new omnichannel AI and operational intelligence technology that delivers exceptional customer experiences for clients. If you would like more information on our new executive team, future initiatives, or have any further inquiries please contact Randy Clapp at randy.clapp@advantagecall.com. With 20 years in service, we've mastered the dynamic between cost-efficiency and customer service, meaning you won't have to sacrifice one for the other.